The Cross Plane Is Here! 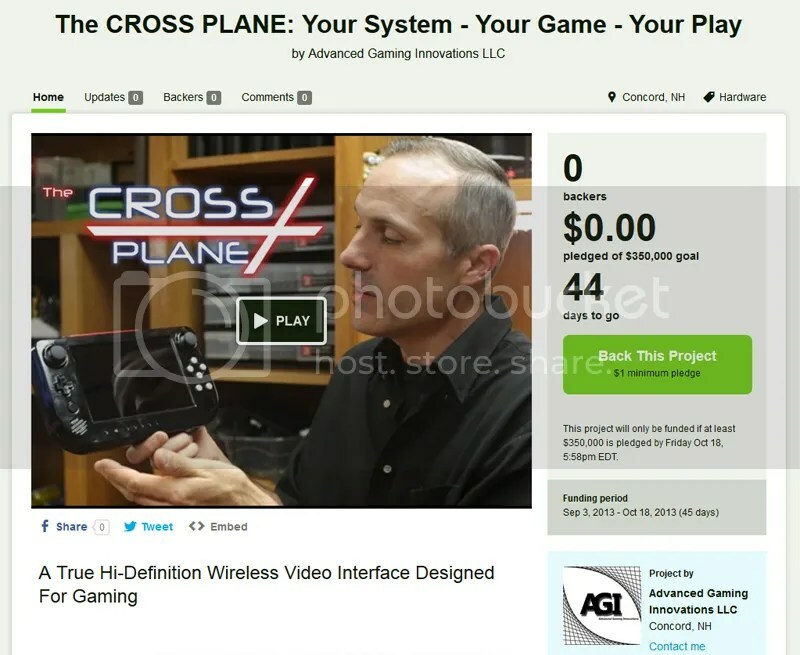 After nearly two years of planning, designing, building and rebuilding, The Cross Plane WVI (Wireless Video Interface) has made its debut on KickStarter! For those of you who may not know, KickStarter is a “Crowed Funding” website which allows project creators to post projects such as ours to a mass market of potential customers and/or willing supporters. Supporters are given the opportunity to see presentation videos of the project and read the project story and so forth to see if this is in fact a project they would like to fund. What makes KickStarter unique though is that it is an “all or nothing” platform where the projects funding goal must be met, or no funds at all are transferred. This helps protect both the project host and those funding the project. Supports though, should the campaign be successful, are given rewards that based on their pledge amounts called “tiers”. These are set by the project creator so for example in our project, $10 or more (up to the next tier) get’s you a Cross Plane Key Chain. Then if you pledge $50 or more you get a signed T-Shirt and Poster or things of that nature. It’s a really neat set-up and one that has helped thousands of people bring their projects to life! So please, check out the link (the big picture at the top will take you there) and give the page a look. If you like what you see and want to help bring this to the market, make a pledge and bring my dream into reality! We can’t do this without you and need your help! The Cross Plane Is Kicking Into Gear!